“Despite Keller not being able to speak, walk or care for himself, Karson deeply cared for his brother, sharing a bond only twins share. Karson would always step up to help soothe his brother or involve him in activities. 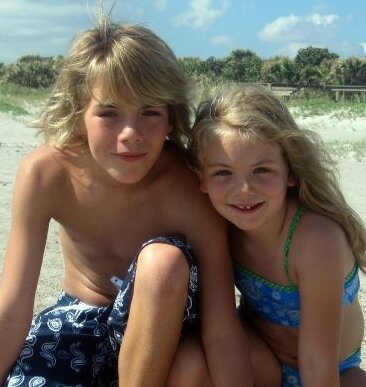 He grew up to be a proud brother of Keller as well as his younger sister, Bradleigh,” Stephenie said. Karson began playing baseball, basketball and football at four years old. His teams were compiled of kids who would grow to be his best friends through life. When entering junior high, he dedicated all of his focus and drive to football, which was his favorite sport. He worked hard for what he wanted and began to privately train with the most elite group of quarterbacks in the country. When Karson was a sophomore in high school, he started as varsity quarterback for the El Reno Indians. As an athlete, he aspired to take his gifts and talents for football with him to college and play for the university he would attend. “It’s every football player’s dream to play for Alabama Crimson Tide or the University of Oklahoma – Karson was no different,” Brad said. Karson was not just an accomplished athlete, he was also a top student in his class at El Reno High School. He held a Pre-Advanced Placement schedule and had been invited to join the National Honor Society. Karson also put strategies in place to ensure his success academically. 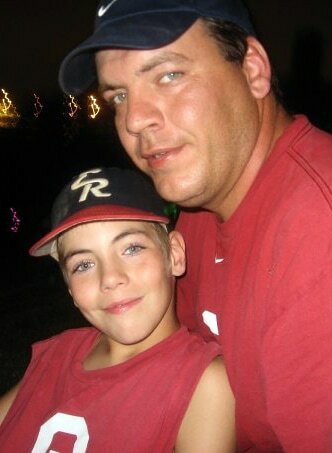 Karson was an all-American teenager in sports, academics and also in his social life. He was a joy to those around him and would never be caught without a smile on his face. He made his friends laugh and people gravitated to his charisma and happiness. He was a good friend to everyone he knew and had a core group of friends who were like siblings to him. Karson cherished all of the friendships in his life. He was passionate about his faith and sharing his beliefs with others. On March 5, 2014, Karson was in a car wreck with six of his friends and was unable to recover from a severe head injury. When Stephenie and Brad were faced with the question of Karson being an organ donor, they remembered a short conversation they had with him. It was on a long drive to Hennessey, Okla., where Karson expressed to his parents his wishes to be an organ donor. He knew being a registered organ donor could potentially save lives through his death, and when he received his license, he was adamant about registering his decision. Karson’s wishes were well known to his family at the time of his passing, and because he was still a minor, his parents made the decision for him to be an organ donor. Through organ donation, Karson was able to save five lives. LifeShare encourages all Oklahomans to have the important conversation about donation with their friends and family. Karson left a legacy for manyin both life and death becauseof his unwavering character,his drive for excellence andalso his wish to save lives.